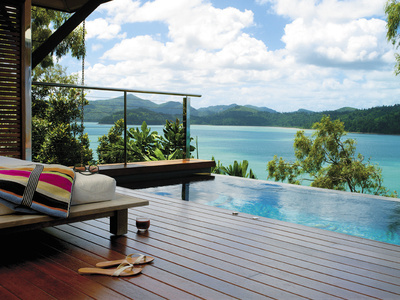 Luxury escape qualia on Queensland Hamilton Island is an absolute break from the world. Images courtesy of qualia. 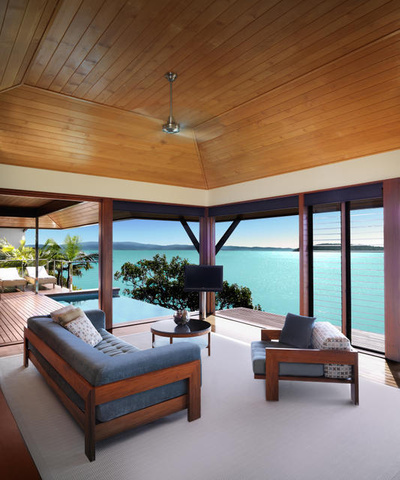 Honeymooners, babymooners, or those looking for a romantic getaway will fall in love with qualia on Queensland's Hamilton Island. This luxury property has been repeatedly awarded by luxury travelers and tourism bureaus alike, and for good reason. Located at the immediate gateway to the world-heritage listed Great Barrier Reef, the resort has 60 one bedroom pavilions each with its own private sun deck or infinity-edged plunge pool. Each private pavilion is surrounded by eucalyptus trees and many of them also offer views of the Coral Sea. At qualia, guests can enjoy two bars and restaurants, swimming pools, a private dining area for special events, fitness centre, spa, boutique shopping a library and more. Accommodation rooms are spacious and have relaxation areas that open out to private decks and many have private plunge pools. Plan your trip right and you can also book when the property is hosting one of their special events such as Audi Hamilton Island Race Week in August or the Australian Ballet's 'Pas de Deux in Paradise' performance under the stars weekend in late October. Hamilton Island is located off the Queensland coast of Australia, within the Whitsunday Islands at the edge of the Great Barrier Reef. Staying here means you can experience all the natural wonders this region of Australia holds. Everything from natural landscapes, calm blue water, secluded beaches, remarkable weather, world-famous coral reefs, and more. 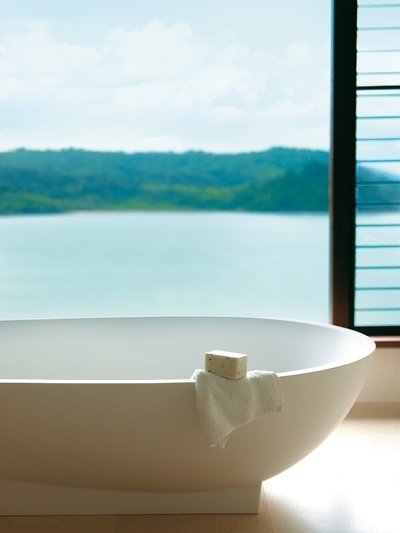 Accommodation at qualia is specifically designed for ultimate luxury. 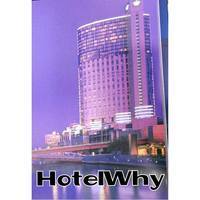 Accommodation is designed specifically for the ultimate luxury and comfort. The villas are private, very spacious and make the most of the surroundings in terms of view and open space. The rooms open up and have louvers to allow the sea breeze to flow through. The rooms also have comfortable lounge areas ideal for reading, relaxing, napping in the sunshine or to enjoy a dip in your private plunge pool. 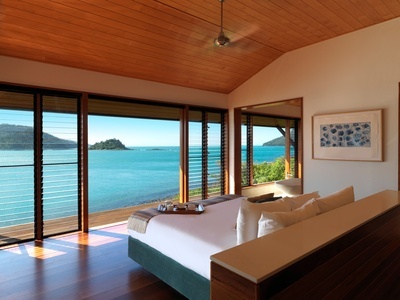 Hamilton Island offers a wide range of accommodation options, not to mention over 60 activities and all within a short direct flight from Sydney, Melbourne, Brisbane or Cairns. There are also great connections from other Australian cities. Ideal for honeymoons and babymoons, each private villa has it's own sun deck or private infinity edge pool ensuring privacy and luxury.